Dwayne White, Construction Project Manager for Dekalb County Watershed Management in Decatur, Georgia is faced with ongoing water and sewer upgrades to the county’s systems. The need to adhere to federal regulations for sewer overflows and to account for water loss has applied more pressure on his organization to conform. 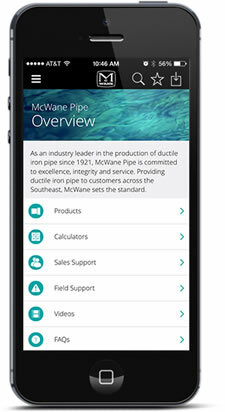 McWane Ductile is involved with many of the county’s projects, not just for pipe supply but also for consultation and training. On August 14, 2018, McWane conducted a full day of instruction for Dekalb employees, contractors and engineers at a county classroom. There were 33 students who learned some of the basics of pipe installation, corrosion prevention and special applications. Georgia Rural Water Association approved six CEUs for those who attended. But, the real importance of the training was to assist in the ongoing projects for field personnel and on-site contractors. Jerry Regula, Ken Rickvalsky and John Simpson were the instructors for the Day of Water in Dekalb and they lead the team from McWane Ductile who will continue to support the county and its projects moving forward.